Our favourite bowling alley Lane 7 have been busy creating something rather amazing for the good folk of Newcastle and something tells me it's going to be popular. 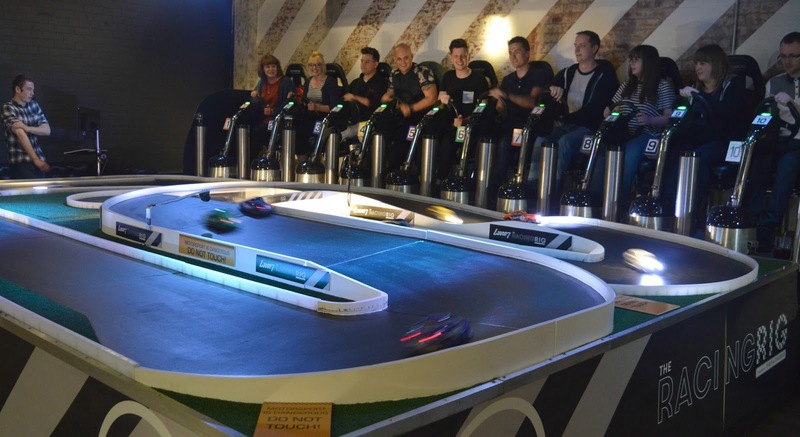 Following the huge success of their ping pong tables, karaoke room and crazy golf course (which is set to return this Summer) Lane 7 are now bringing us something even bigger and better. Allow me to introduce you to the brand new Lane 7 Racing Rig! 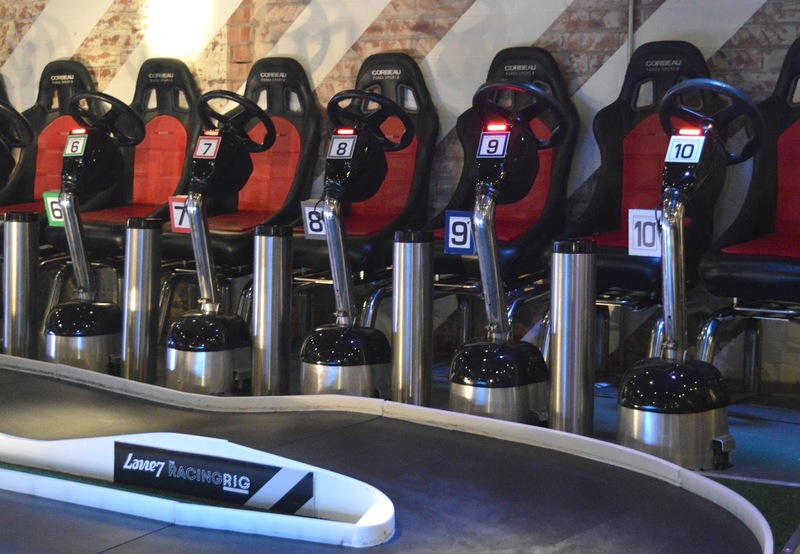 The Racing Rig at Lane 7 is a ten car high speed track where you can race against your friends in an epic (and quite often hilarious) battle of skill and determination. 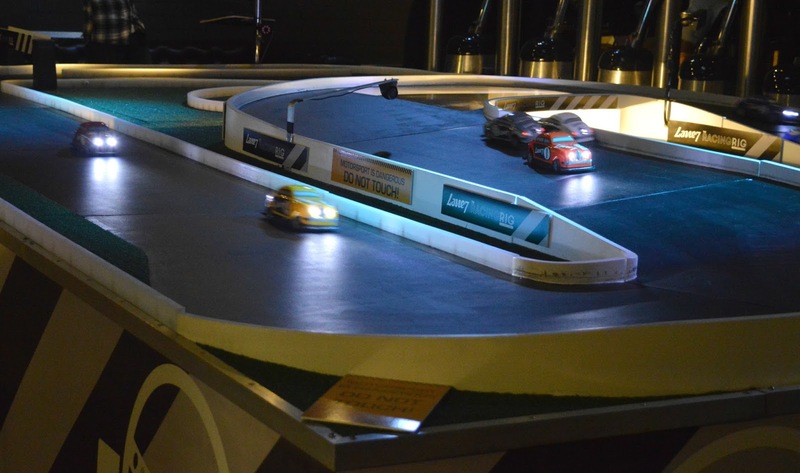 It's Scalextric meets the dodgems and wow is it fun! Get ready for the race of your life! 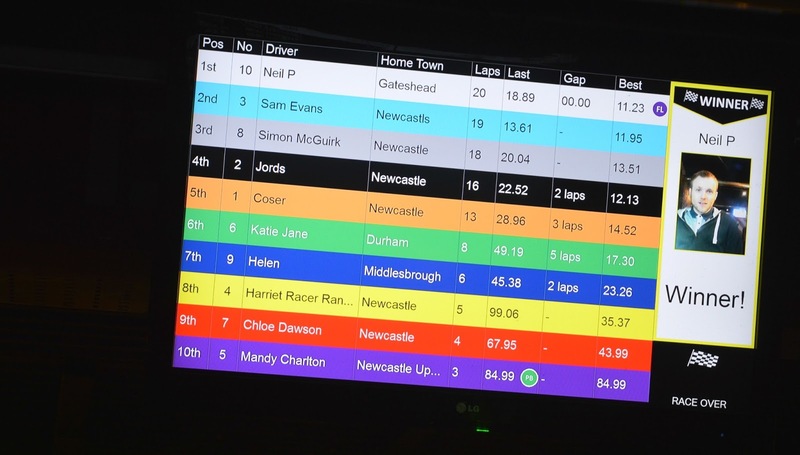 Last week we were invited along for a sneaky peak at The Racing Rig and a chance to be one of the very first to go car racing at Lane 7. Any of you who have been following me on Snapchat (you'll find me at "newgirlintoon") will know that Simon and I have been test driving cars recently which has lead to a few, shall we say, disagreements on the road. I think we were both looking forward to doing battle on the Lane 7 racetrack to settle our arguments! Of course every race car driver needs a licence so our first point of call was to get ourselves some paperwork so we could compete. 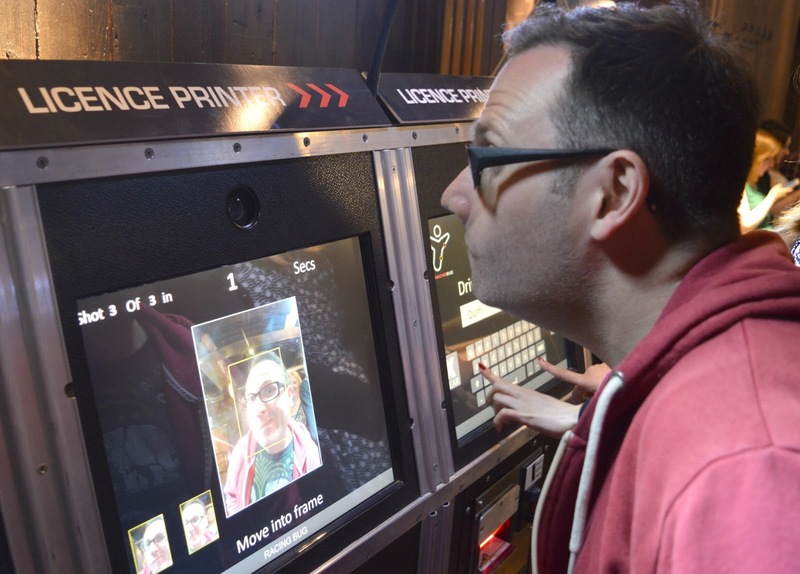 There are a handful of computers by the racetrack ready for you to produce your licence - just fill in your details and take a selfie. Be warned your photo won't just end up on your licence but will also be displayed above the racetrack! Licences ready we headed over to the track to take our position. The ten driver seats are positioned above the track so you can get a good view of your car and there's a quick run through of how to use the cars before the race begins. 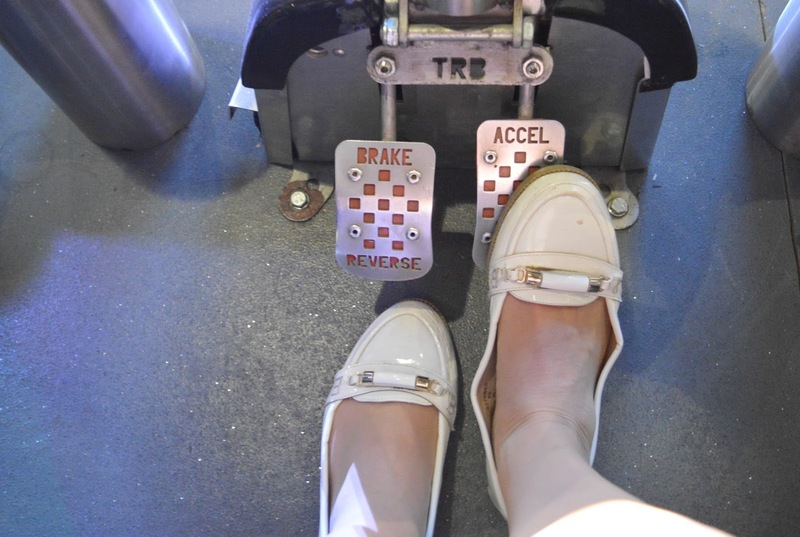 Don't worry, it's very easy with an adjustable steering wheel and seat and just two pedals - accelerate and brake/reverse. Once we'd all scanned in our licences we were automatically assigned a car number and our licence information popped up on the screen above the track so we could see our position in the race. As the sound of the Formula 1 theme filled the room we were ready for the off. I had a good strong start and was impressing myself with my skills. The controls felt pretty lifelike and I was confident at negotiating my car on the first stretch. That was until I hit the first corner and then it was pretty much race over for me. I spent quite a lot of my time wedging myself into corners and probably at least half the race travelling backwards. Simon on the other hand was a natural and found himself in third position for the whole of the race. This was even more impressive as I seemed to be doing my best (not on purpose I hasten to add) to ruin his chances. I accidentally blocked him in on more than one occasion and I think I may have even pushed him backwards in the wrong direction at one point. The race was 20 laps long, giving everyone plenty of chance to get a good go and the live commentary as we were racing round really added to the atmosphere. I am very proud to tell you that I came second to last which is quite some achievement. Just take a look at that leader board and try not to laugh. You might notice that the winner completed the 20 laps whilst I did just 4. Shocking really. All of that high speed racing is hungry work so we finished our evening with a meal. Lane 7 serve up really great satisfying food which is always appreciated after you've been enjoying the activities on offer. 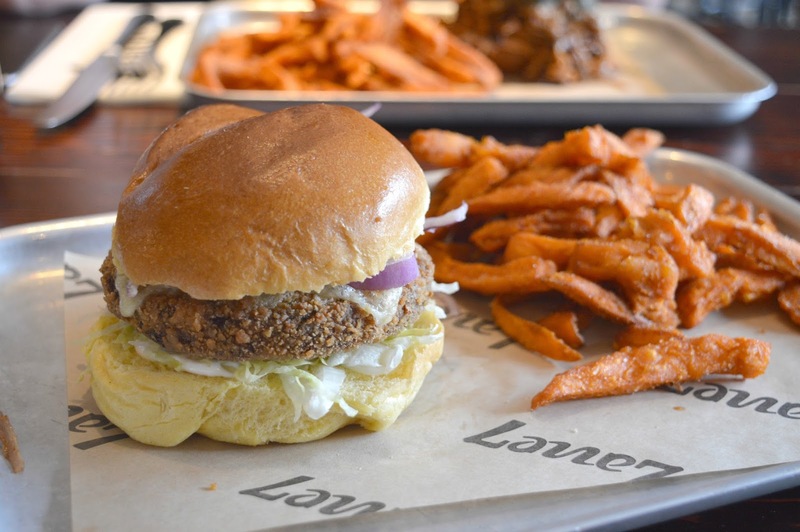 Although I'm not veggie the Spicy Bean Burger sounded fantastic so I decided to go for it. Served with smoked cheese, sour cream, lettuce and red onion, it was delicious and I'll definitely be "going veggie" again on my next visit. 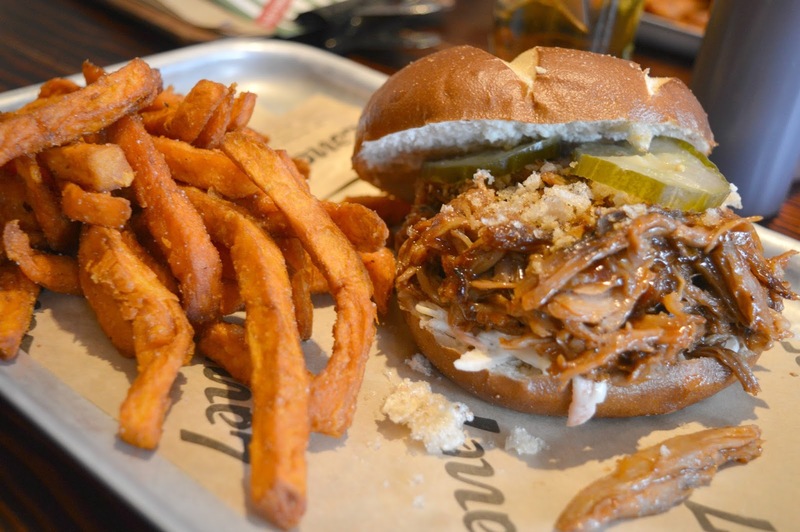 Simon decided not to change the habit of a lifetime and ordered his favourite dish - the Pulled Pork Bun which came with BBQ Sauce, House Slaw, Pickles and Crushed Crackling. So good! 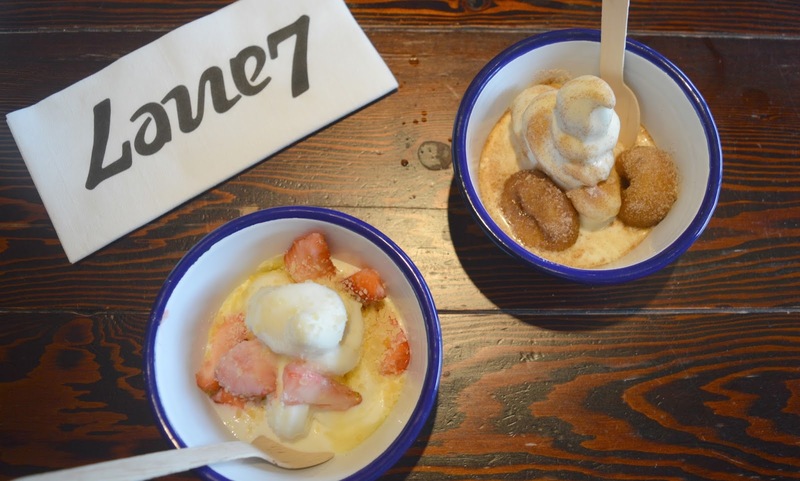 Of course no meal is complete without dessert and Lane 7 is great if ice-cream is your thing. The House Whipped Cream is served with a variety of toppings and we decided to share a portion with Strawberries, White Chocolate and Popping Candy and a portion of Donuts and Cinnamon Sugar. 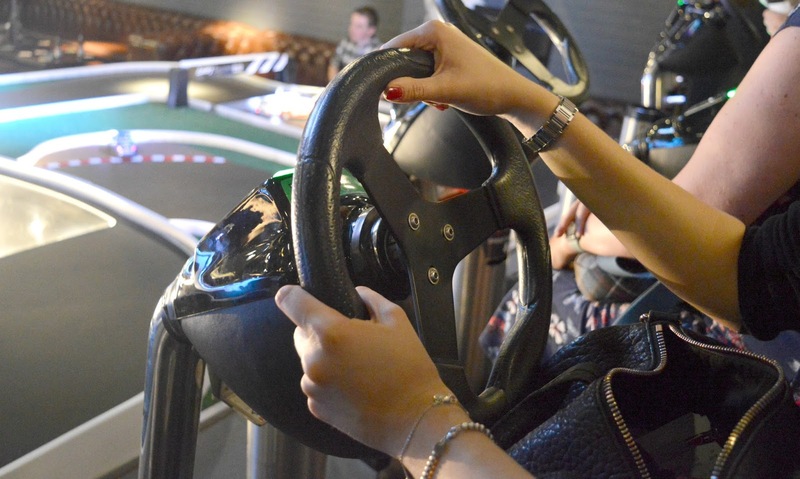 The Racing Rig at Lane 7 is now open and there's no need to book in advance, just turn up! It costs £3 a go or £10 for 4 turns. 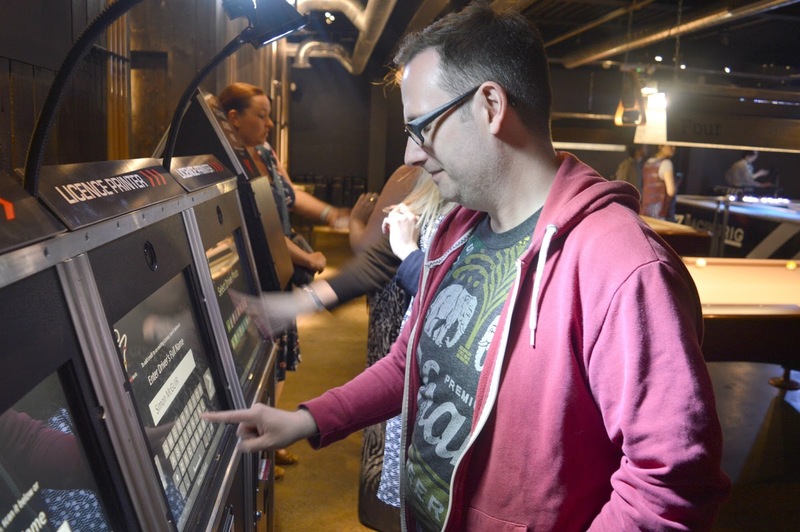 If you want to make a night of it then check out the Summer Saver where you can enjoy 2 drinks, 2 courses and 2 activities for £27 per person. Thank you to Lane 7 for inviting us to try out the Racing Rig. My experience was complimentary, but all opinions are my own. Looks like lads of fun! I think i'd be terrible at it though!